Crows are never easy to decoy, they take cautious behavior to another level. 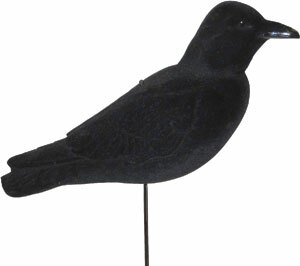 These FFD Crow Decoys are fully flocked with motion and that makes all the difference in crows at close range and crows flying away. 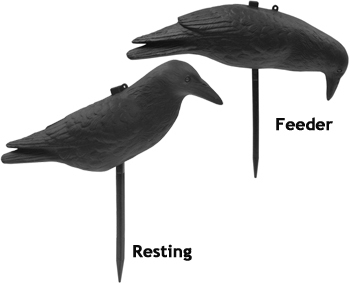 Use crow decoys for both passive (feeding) and aggressive (fighting) set-ups. Life-like and anatomically correct. Flambeau's proprietary foam flocking process yields an unbelievably realistic, lightweight crow decoy. No shine, no glare...just perfectly realistic crows that when set as a flock will bring in birds or provide confidence on a predator hunt. Bring the crows in close for a good shot. 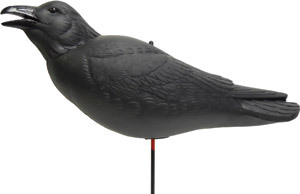 This will be a great addition to your crow decoy spread! 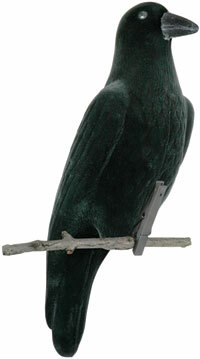 The Cawlin' Crow offers a realistic blow molded body with the addition of mobbing crow calls. 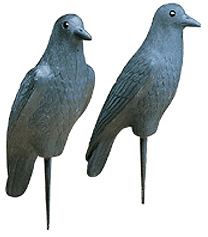 These Flambeau 17" Crow decoys are a simple decoy that can be hung in trees or staked to the ground with the built in stake. Packed 12 per box. 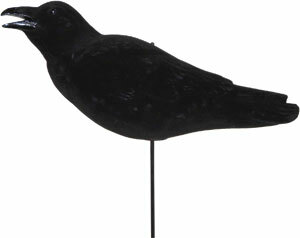 Here is a different decoy for those who like to hunt crows. 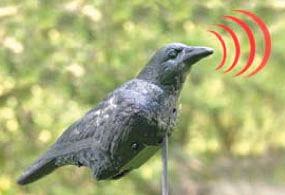 Most decoys on the market today are a standing version this flyer will get the attention of even the most gun shy crow. 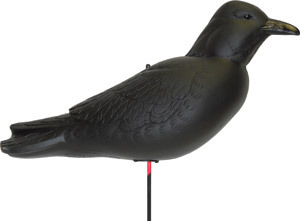 this decoy measures 17' from beak to tail and has a wing span of 27". 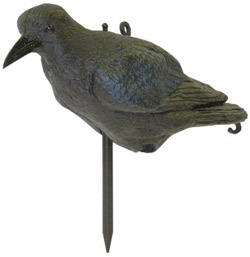 A wind directional pole cap and a hanger is included with decoy. 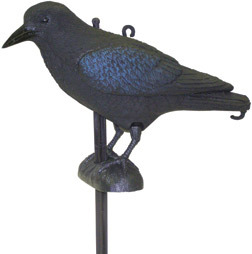 These 16" Standing Crows are a great decoy for any crow hunter. Sold by the each.